Customization of both content and delivery style to fit your organizational objectives is the key to our success. The concept of learning design arrived in the literature of technology for education in the late 1990s and early 2000s with the idea that “designers and instructors need to choose for themselves the best mixture of behaviourist and constructivist learning experiences for their online courses”. But the concept of learning design is probably as old as the concept of teaching. Learning design might be defined as “the description of the teaching-learning process that takes place in a unit of learning (eg, a course, a lesson or any other designed learning event)”. Wagons Learning uses ADDIE model for content development. 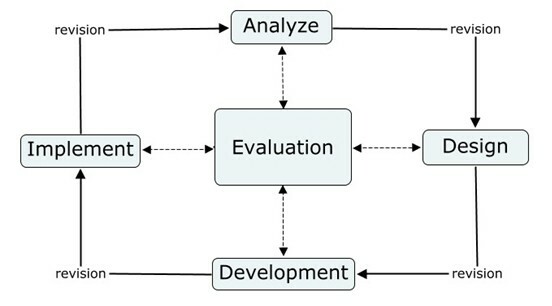 The ADDIE model was initially developed by Florida State University to explain “the processes involved in the formulation of an instructional systems development (ISD) program for military interservice training that will adequately train individuals to do a particular job and which can also be applied to any interservice curriculum development activity.” The model originally contained several steps under its five original phases (Analyze, Design, Develop, Implement, and [Evaluation and] Control), whose completion was expected before movement to the next phase could occur. Over the years, the steps were revised and eventually the model itself became more dynamic and interactive than its original hierarchical rendition, until its most popular version appeared in the mid-80s, as we understand it today. The first phase of content development is Analysis. Analysis refers to the gathering of information about one’s audience, the tasks to be completed, how the learners will view the content, and the project’s overall goals. 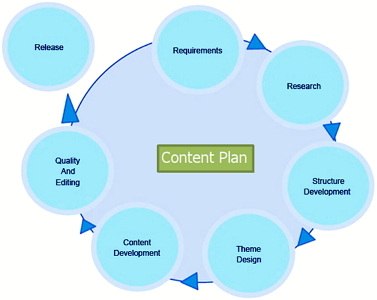 The instructional designer then classifies the information to make the content more applicable and successful. The second phase is the Design phase. In this phase, instructional designers begin to create their project. Information gathered from the analysis phase, in conjunction with the theories and models of instructional design, is meant to explain how the learning will be acquired. For example, the design phase begins with writing a learning objective. Tasks are then identified and broken down to be more manageable for the designer. The final step determines the kind of activities required for the audience in order to meet the goals identified in the Analyze phase. The third phase, Development, involves the creation of the activities that will be implemented. It is in this stage that the blueprints of the design phase are assembled. After the content is developed, it is then Implemented. This stage allows the instructional designer to test all materials to determine if they are functional and appropriate for the intended audience. The final phase, Evaluate, ensures the materials achieved the desired goals. The evaluation phase consists of two parts: formative and summative assessment. The ADDIE model is an iterative process of instructional design, which means that at each stage the designer can assess the project’s elements and revise them if necessary. This process incorporates formative assessment, while the summative assessments contain tests or evaluations created for the content being implemented. This final phase is vital for the instructional design team because it provides data used to alter and enhance the design.